Logo developed for a business leadership conference held annually. 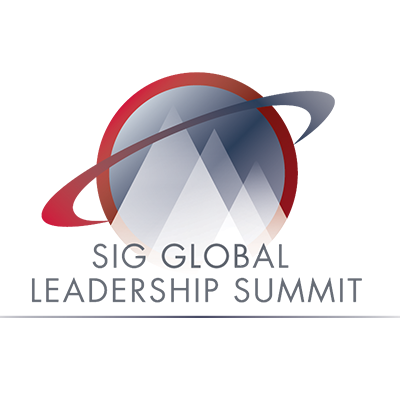 This logo needed to echo the existing organizational logo and branding for the Sourcing Interests Group, SIG. Series of logos developed for the clients conference, a meeting of sourcing executives held annually and focused on business leadership. The chosen logo would then be utilized annually. Theme branding for conference using the location for it's main graphical image. This look and feel was then picked up across a variety of materials. Spreads form the conference resource guide. 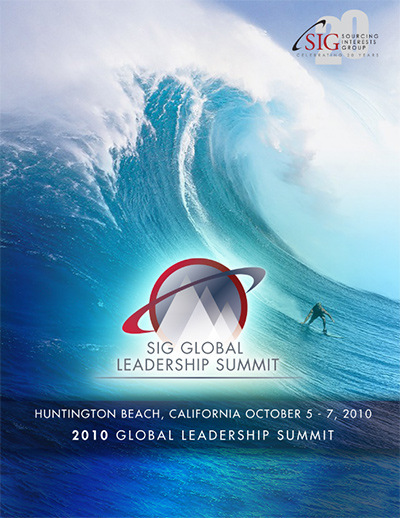 A number of concepts were presented for the thematic branding, including theme aspects that were both localized to the location of Huntington Beach and business concepts using leadership as the key message.